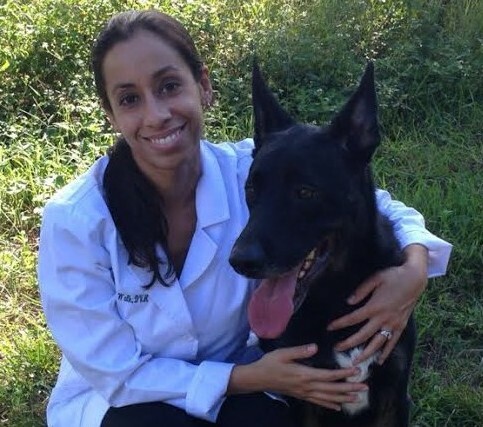 Dr. Melissa Walk has a Bachelor’s of Science Degree in Biology from the University of South Florida and graduated from the University of Florida College of Veterinary Medicine in 2008. 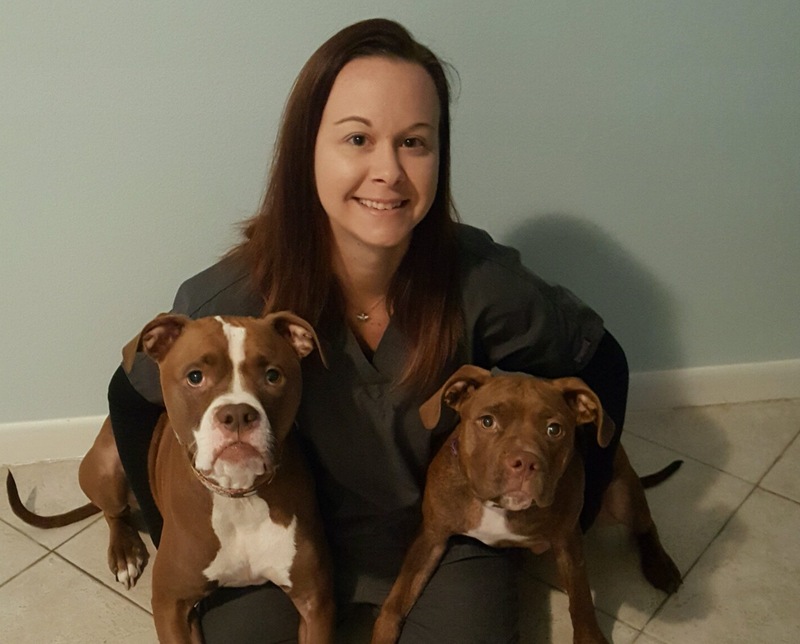 She has lived in the greater Tampa Bay area most of her life and has worked in Hillsborough and Pinellas county as a veterinarian for a number of years. She believes that taking the time to get to know your pet and family is crucial in delivering consistent and effective medical care. In her free time, she enjoys spending time with her two and four-legged family, jogging, and gardening. Her family consists of her husband, twin girls, a domestic short hair cat, a German Shepherd dog, and a Husky/Shepherd mix. She resides in Clearwater and looks forward to getting to know your family. Dr. Kimberly Garcia has a Bachelor’s of Arts from Connecticut College where she studied Cellular and Molecular biology as well as Mandarin Chinese. She then went on to pursue her lifelong dream of becoming a veterinarian and acquired her DVM from Cummings School of Veterinary Medicine at Tufts University. Kimberly was born and raised in Massachusetts, but recently moved to the Tampa Bay area to be with her husband who is also a veterinarian. She has special clinical interests in internal medicine and oncology. Along with her passion for animals is her love for cooking and running. She and her husband currently own an energetic Doberman Pinscher named Wesson and Moo (who they rescued from Puerto Rico).Family is very important to Dr Garcia, and she wants to make sure the furry members of yours are healthy! On occasion, we may call in Dr. Burns to perform more specialized surgeries for our patients. Dr. Burns graduated from the University of Florida with a Bachelor of Science in Animal Science and a minor in Chemistry and is a 2006 graduate of the University of Florida’s College of Veterinary Medicine. She then completed a one-year small animal rotating internship at Tufts Cummings College of Veterinary Medicine. Dr. Burns completed her small animal surgery residency at The Ohio State University, College of Veterinary Medicine, where she also received a Master’s of Science Degree. In 2012 and 2013, Dr. Burns became a Diplomate of the American College of Veterinary Surgeons and a Diplomate of the American College of Veterinary Sports Medicine and Rehabilitation, respectfully. Dr. Burns is an active member of the American College of Veterinary Surgeons, American College of Veterinary Sports Medicine and Rehabilitation, AO Foundation, American Veterinary Medical Association, Florida Veterinary Medical Association, Veterinary Society of Surgical Oncology and Veterinary Wound Management Society. Dr. Burns has received certificates of completion for AO ASIF Advance Techniques in Small Animal Fracture Management, AO ASIF Principles of Small Animal Fracture Management and BioMedtrix Total Hip Replacement courses. Dr. Burns has also published research articles in peer reviewed veterinary journals including Veterinary Surgery, VCOT, JAVMA, AJVR and Journal of Feline Medicine and Surgery. Heather is a certified veterinary technician and obtained her Associate’s Degree in Veterinary Technology from St Pete College. She has more than ten years of experience in the veterinary field. She loves her job and is devoted to providing each patient and client with the highest quality of care and compassion. She has 3 spoiled pit bulls she rescued. Their names are Moochi, Carmen, and Neko. Heather worked with Dr Walk at a previous clinic before Harborside Animal Hospital opened. She has now worked at Harborside Animal Hospital since we opened in 2014. She is ready to get to know you and your pets. Kristi is a veterinary technician with over 10 years experience in the veterinary field. She has worked in previous clinics as a practice manager and also in emergency veterinary clinics. Kristi worked with Dr Walk at a previous clinic before Harborside Animal Hospital opened. Kristi has now worked at Harborside Animal Hospital for more than one year. She has 3 dogs and 2 cats. 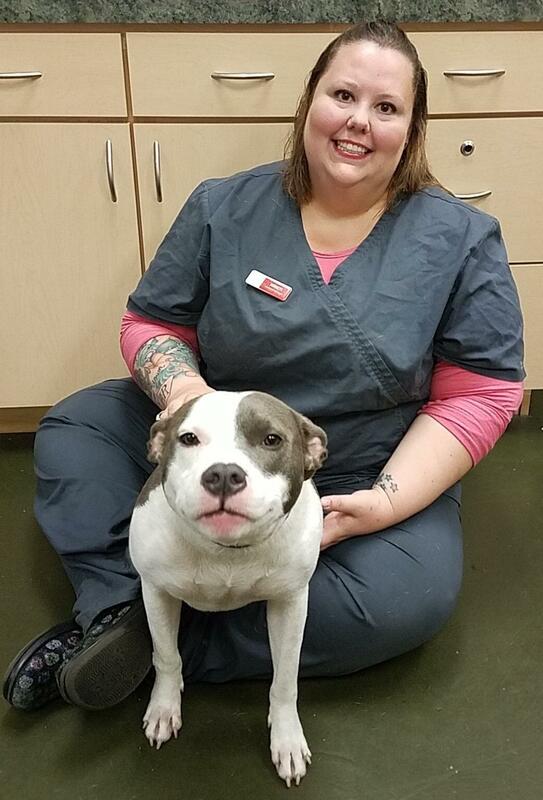 Ashley is a dedicated veterinary technician who has over 8 years of experience. Ashley worked with Dr Walk at a previous clinic before Harborside Animal Hospital opened. She has now worked at Harborside Animal Hospital since we opened in 2014. Ashley has 1 Shih Tzu named Bonnie and 3 cats named Warren, Bentley, and Porter. She also enjoys watching movies in her spare time. She thoroughly enjoys helping all animals and can’t wait to meet you and your four legged family. Meghan is one of our veterinary technicians and has been with Harborside Animal Hospital for more than 1.5 years now. She has just completed her Associates Degree in Veterinary Technology at St. Pete College. She will be a Certified Veterinary Technician in the next few months! She will be pursuing a Bachelor’s degree in Veterinary Technology over the next couple of years. She enjoys being around family and playing with her German Shepard and Labrador dogs in the pool. She is excited to have this opportunity and can’t wait to meet you and your fur-family! 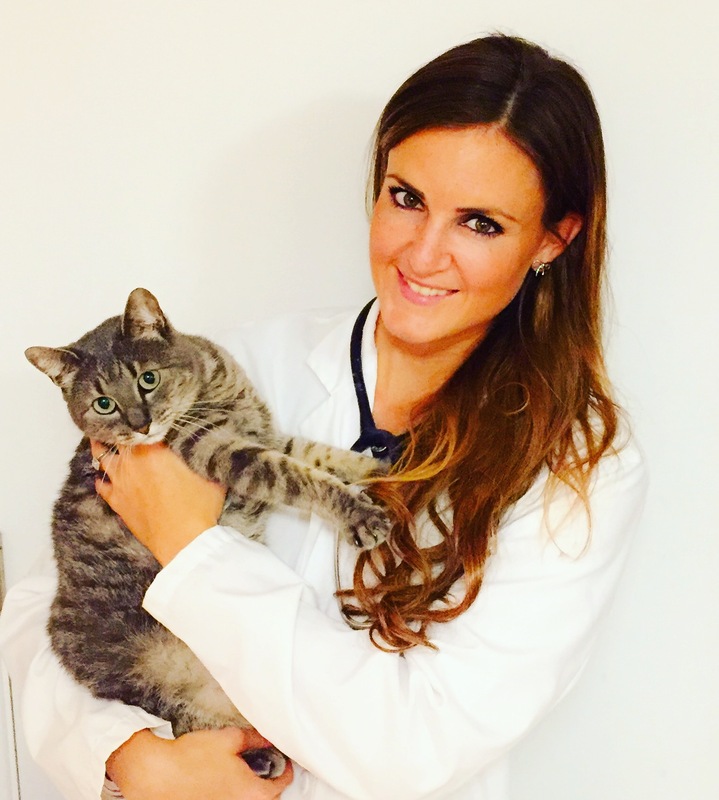 Hunter is a certified veterinary assistant with more than 4 years experience. Hunter has been at Harborside Animal Hospital since we opened in 2014. He is currently enrolled at St Pete College and wants to become a veterinarian in the future. He has a Hound mix named Skittles that he adopted from a local rescue organization. Lisa moved to the area in 2014 from Chicago to study to be a veterinary technician. She has been at Harborside Animal Hospital for more than 2 years now. In her free time she likes to be outside, watch Blackhawks hockey games, and spend time with her 3 kitty cats. Danielle is one of our veterinary assistants. She has been at Harborside Animal Hospital for more than a year now. She enjoys spending time outdoors with her two dogs. Her free time usually consists of going hiking, swimming, and reading. She attends St Pete College. Danielle has always shared a strong passion for animals and hopes to pursue a life-long career spending her time with them. Cameron is one of our veterinary assistants. He started out as a volunteer before becoming a part of our team. He is currently enrolled in Florida Virtual School and has about 4 years experience working or volunteering at veterinary hospitals. In his free time, he enjoys reading, playing video games, and learning about veterinary related subjects. He looks forward to meeting you and your fur-family!